In March, 2015 we read that Indonesia will be offering a visa-free entry starting from April 1st. The new offer covered the following passports: China, Japan, South Korea, United States, Canada, New Zealand, Mexico, Russia, United Kingdom, France, Germany, Netherlands, Belgium, Italy, Spain, Switzerland, Austria, Denmark, Norway, Finland, Sweden, Poland, Hungary, Czech Republic, Qatar, United Arab Emirates, Bahrain, Oman, Kuwait and South Africa. We took the bait. This blog post has been moved to Web & SEO Designers discussion forum. Ever since we left Finland in 2004 to travel the world, Santeri has secretly continued developing one of his former company's (SOT Finnish Software Engineering Ltd.) most closely guarded, secret R&D projects, which aimed to create a perfectly distributed operating system. 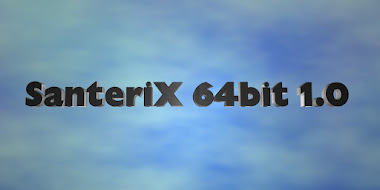 Compared to traditional operating systems, the new SanteriX operating system does not require almost any hard disk space and boots virtually instantly. If the following presentation is too technical for you, click the blue Preview-button below to see how the new system looks.